Crossroads location on FM485 including 10 acres and a scale in the brick building that could be used as a residence or as an office area. Also has a large building that is presently leased out for a mechanic shop. Location is on FM485 and Hwy 77 with easy access to deliver corn to Easterly. *Operational custom feed mill for mixing feed for cattle, hogs or horses. Feed can be bagged or delivered in bulk. Feed mill has bins to hold feed additives to make custom feed rations. Feed additives are delivered in to us by truck. Langston Companies, Inc. manufactures consumer and industrial packaging to a diverse group of companies. Core markets include Feed, Seed, Flour, Sugar, Rice, Dry Beans, Charcoal, Chemicals, Minerals and Building Products. Langston is a stable and growing company. Reinvesting in our company and purchasing new manufacturing equipment throughout the year is essential for us to keep up with the ever-changing packaging environment as we strive for continuous process improvements. Langston manufactures products that are needed and purchased on a reoccurring basis. Langston Companies has been a family owned business since 1946, known for our incredible customer service, quality products and dedicated Teammates. This sales opportunity involves three packaging categories, with all three being manufactured in the US, and Mexico. Multiwall paper bags, FIBC semi-bulk bags and smaller woven polypropylene bags make up the majority of sales for this position. The Texas territory has been steadily growing over the past 5 years with a solid pre-existing customer base that needs to be maintained. The Texas region still has much room for growth. The territory involves extensive travel throughout the State of Texas in a company provided vehicle. Our Sales Representatives work from their home office. The Texas territory is constantly growing and has limitless potential for more opportunity. The Outside Sales Representative operates in a sales and consultative manner, working directly with customers. Weekly prospecting, selling & maintaining existing business through face to face meetings, emails, phone calls and various other methods of communication. Identify, qualify and generate sales through networking, cold calling and following up on sales leads in an organized and timely fashion. Develop a business plan and sales forecast for each account and prospect by creating a yearly sales budget and monitoring monthly. Growing market share and product margins within the Texas area. Coordinate the use of company resources such as plant operations, technical packaging experts, and customer service to provide value added services to accounts. Prepare, organize and present proposals to customers and prospective customers. Weekly inform customers about market conditions, pricing concerns, lead times and changes in raw material costs. Establish a unique rapport with customers to create long-lasting relationships. Promptly resolve all customer concerns by engaging management assistance, as needed and work directly with customers to reach the desired results for all parties involved. Provide feedback in a timely fashion to management team regarding proposals, quality checks, order changes, future buying trends and customer information. Daily, develop and maintain sales materials and product knowledge. Prepare a variety of status reports, including call reports, follow-ups, new opportunities, budgets and goals. Review your own sales performance against targets as you gain experience. Attend annual sales meetings, industry events, trade-shows, seminars and association meetings. Negotiating variations in price, delivery and specifications in partnership with your manager. Entertain customers during meals and social or personal events. Maintain a high level of integrity with exceptional customer service and dedication. At least 5 years outside sales experience with a quantifiable record of success, preferably within a manufacturing/packaging related industry. A Bachelor’s degree in a business or marketing-related discipline is preferred. Fluency in English required, verbal and written; Spanish speaking would be a plus. Ability to create and edit documents in MS Office: Word, Excel, Power Point and various other CRM tools. Experience and/or exposure to inventory management preferred. Proven success as measured by new business growth. Great work ethic with a high degree of self-motivation and drive to work independently and as part of a team, with minimal supervision. Competitive base salary paid twice per month. Quarterly incentive plan based on volume, margin and new business, including pre-existing accounts. Health Insurance, including optional dental insurance. Company sponsored 401K with some company match. Company provided vehicle, including collision insurance. Extensive training at plant level. IMPORTANT NOTE TO JOB SEEKERS: This job posting is time sensitive. Please apply now, if you wish to be considered. We are looking to hire someone immediately. We have rapidly grown our business through providing outstanding sales and customer service and continually introducing new, innovative products and solutions to help improve our customer’s business operations. If you are looking to join a winning team, send a cover letter along with your resume to [email protected], listing any and all experience or skills for prompt consideration. Langston Companies, Inc. is an Equal Opportunity Employer. At CoBank, the Associate Relationship Manager/Relationship Manager is responsible for managing the overall profitability and credit quality of a loan portfolio. They also manage account relationships with existing and prospective customers in an assigned market and/or industry segment. They maximize credit and financial services provided to the customer to enhance the bank’s profitability goals, as well as implement marketing and account servicing plans to capitalize on marketing opportunities within assigned segments. This individual will also develop new business and manage existing portfolios, support the achievement of profitability and credit goals for the division through day-to-day management of account relationships. Become part of the excitement in our growing Lubbock office! Relationship Managers play a crucial role in executing CoBank’s mission to serve as a dependable provider of credit to agriculture and rural infrastructure businesses. Whether you are new to credit or an experienced credit professional, this position will allow you to grow and build a career in a team focused environment that values sound credit quality and prudent underwriting standards. The Relationship Managers career opportunity will provide broad exposure to the diverse and dynamic agricultural industries in Texas and New Mexico. Bachelor’s degree in general business, economics, finance or relevant discipline; or equivalent combination of education and experience. Minimum 6 years of experience in successful sales and sales management dealing with major account relationships in a financial services environment, or appropriate combination of experience and education. Broad knowledge of credit and financing alternatives. Knowledge of technical standards, industry trends, technology and regional/national regulatory requirements. Knowledge of competitive environment and practices in customer’s industry. Ability to analyze all components on standard credits. Ability to make marketing presentations to potential and existing customers. Moderate to extensive travel required. Salina, KS headquarters is looking for the right candidate to fill a management position in the grain fumigation business at our Woodward, OK location. We look for solid, hardworking individuals to take charge of a work crew that fumigates grain storage structures. These include grain elevators, farm bins, warehouses, railroad cars, shipping containers, etc. Experience managing labor crews, college/technical degree, Kansas 7b or other state license, CDL with Hazmat all a plus. The job requires overnight travel as dictated by our customer needs. The travel will be extensive from August to November and varies the rest of the year. Hours can be long as we work until job completion. Some holidays are work days as customers want us there during shutdowns. This is not an easy job, but can be rewarding and challenging. You will definitely not be riding a desk. A Commercial Driver's License (Class C or better) with Hazardous Materials Endorsement is a requirement. Obtaining the OK Pesticide Applicator Licenses within 90 days is a requirement. We will pay for the testing. This position offers paid travel expenses in company vehicles. You will not have to pay anything out of pocket to run your crew or purchase company approved supplies. You will be provided all equipment needed to preform the job expected of you. If this opportunity sounds like it might be for you, please reply to this post with your resume. We look forward to meeting you. Pay starts based on qualifications. 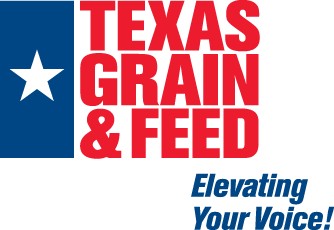 The Grain and Feed Merchant’s primary function is to expand upon current functions of our grain department to better serve our customers while providing better efficiency to empower future growth. This position is tasked with assisting our team in grain origination and providing vital information while managing daily business requirements. Please send resumes and the position you are applying to [email protected]. If you are a TGFA Member needing to advertise, please attach the following in an email to [email protected]: jpeg pictures, item(s) description and contact information. Listings are limited to equipment and facility sales by Regular Member types only or job postings by any member.